The Appearance Day of Srila Abhirama Thakura (Sri Rama dasa) is observed on April 29th. He who was previously known as Sridama is today Abhirama Thakur. He picked up a piece of wood that it took 32 men to lift. Abhirama Thakur lived with his wife Malini in the village of Khanakul Krishnanagara in the Hooghly district. Khana refers to the Dvarakesvara River, kula means banks; thus, the village of Krishnanagara on the banks of the Dvarakesvara River is also known as Khanakula Krishnanagara. At the doors of his temple stands a large Bakula tree which is known as the Siddha-bakula, and the place is popularly called Siddha-bakula Kunja. 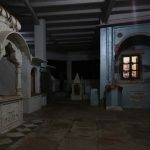 This is the place where Abhirama Thakur first sat down when he arrived in the village. The Gopinath deity was found when digging for a tank first began. This tank goes by the name of Sri Abhirama Kund. The temple also houses the deities of Vrajavallabha, Gopal and a Salagram Sila. Sri Abhirama Thakur was a very vigorous and powerful acharya. 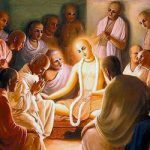 He engaged in preaching on the orders of Lord Nityananda and saved many atheists and people opposed to the Vaishnava religion. Abhirama Goswami possessed a fiery temper and great spiritual power. The atheists trembled whenever they saw him. 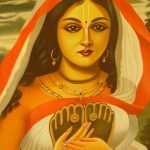 He was intoxicated as though he had been possessed by Nityananda, and his enchanting mercies are famed throughout the world. 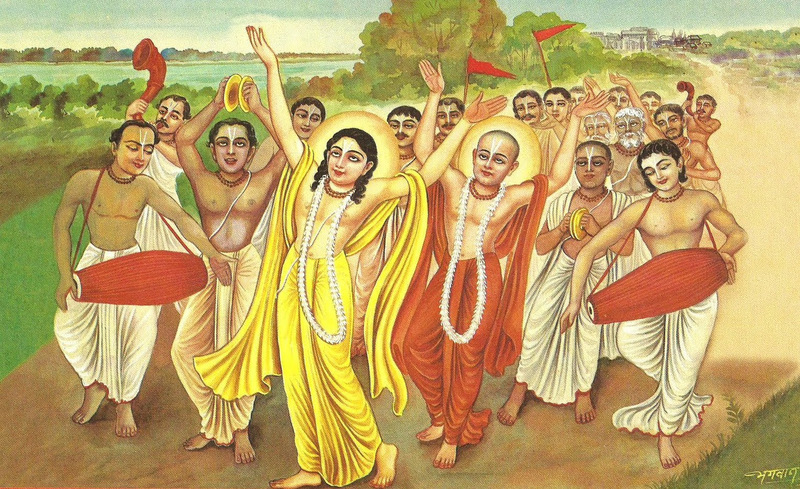 This reference in the Chaitanya Charitamrita is also that found in the Gaura-ganoddesha-dipika which says that Abhirama Thakur lifted a log which would normally have taken 32 people to lift. 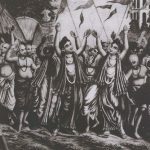 The Bhakti-ratnakara states that it would have taken hundreds of people. After lifting it, he held it like a flute. He held in his hands a piece of wood that a hundred men could not move, in the way one holds a flute. The devotees were greatly astonished when they saw him perform such superhuman feats. According to one legend, whenever Abhirama Thakur paid his obeisances to a stone or statue, if it was not a Vishnu-shila or a consecrated deity, it would crack or be reduced to powder. Non-devotees were also unable to tolerate his pranamas. Nityananda’s son Virachandra Goswami and daughter Ganga Devi survived his obeisances, which confirmed their divinity. These things are written in ashtakas composed by Abhirama Thakur in their name. Srila Abhirama Thakur possessed an amazing whip which he named Jaya-mangala. Anyone who was touched by this whip would immediately experience the transcendental ecstasies of prema. One day Srinivas Acharya visited Abhirama Thakur who gave him three lashes with that whip. 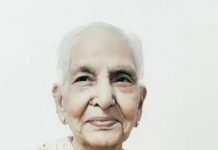 Abhirama’s wife Malini stopped her husband from hitting him again, saying that Srinivas was just a young lad who wouldn’t be able to tolerate the effects of divine love. Nevertheless, Srinivas Acharya was very dear to Abhirama and received many blessings from him. Though not his initiated disciple, he was like a disciple to him. The Jaya-mangala whip is still held in the Krishnanagara temple. O Srinivas! How much more can I say? Abhirama descended into this world in order to deliver it. Taking birth in a Brahmin family, he became a scholar in all the scriptures and was an unequalled musician, not only in song and playing musical instruments, but in dance also. He married at Nityananda Balaram’s request. His wife Malini is also indescribably powerful. 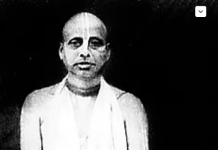 Many people say that the Bali Math in Puri was established by Abhirama Thakur. An annual festival is held in Khanakula Krishnanagara on his disappearance day, i.e., the Chaitra krishna saptami. 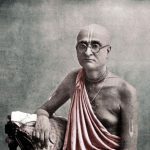 Our parama-guru, Jagad-guru Srila Bhaktisiddhanta Saraswati Goswami Thakur visited this site when travelling on the parikrama of Sri Gaura Mandala. 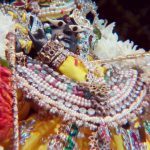 At that time, the devotees charged with the temple greeted him with great hospitality and honored him and his followers with special treatment. 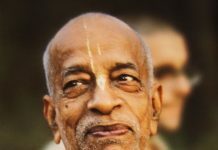 Next articlePujyapad Muni Maharaj and Pujyapad Narasimha Maharaj discussing the glorious celebration of 100 years of Gaudiya Math.